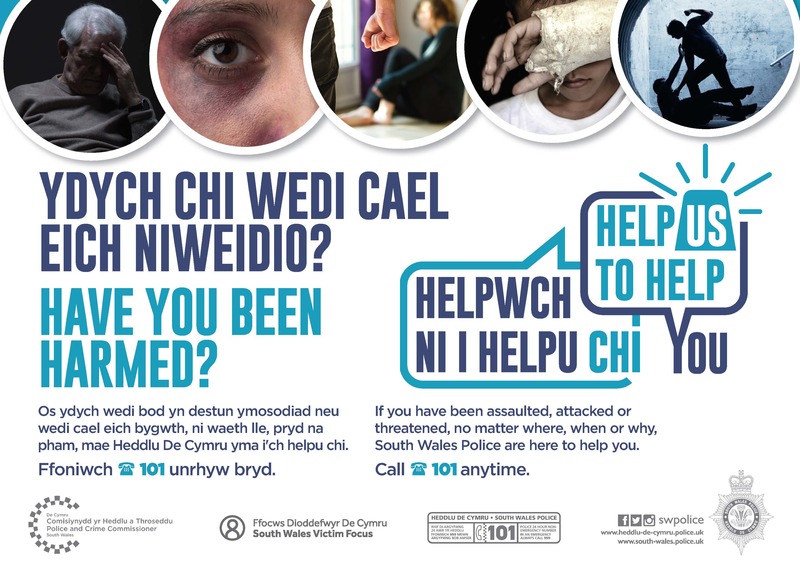 If you have been the victim of violence, no matter who you are, how or when you were hurt, South Wales Police are here to help. Making contact with the police does not commit you to taking any further action. However, by reporting what happened to you, you may be able to prevent it happening again or prevent someone else from being hurt. If you’ve been hurt or witnessed someone else being harmed call 101 anytime. In an emergency always dial 999. Where can you get help and support? South Wales Victim Focus is a local service run by the national and independent charity, Victim Support. Their specially trained staff and volunteers offer help and support to anyone who has been affected by crime. They can also put you in touch with other services in the area who might be able to help you.